You might have seen me introducing these Body Shop beauties a while back after attending the brand's recent press release here, so after trying them out for a few weeks I thought I would share my opinions with you. The Body Shop already had an existing Honey Bronze* range which I indulged in last summer, but these are all brand new spanking additions to the range. At first I wasn't sure that I would get much use out of the tinted mist & face gel as I don't normally use tanning products, but I've definitely changed my mind. So you can say that once again I am super impressed with these gorgeous summer releases & I'm giving The Body Shop a big thumbs up. By the way I am not sponsored or obligated to post about The Body Shop, incase you might be wondering why I am forever raving about them, I just generally love their products... So let's get onto the actual products that I'm supposed to be reviewing today. 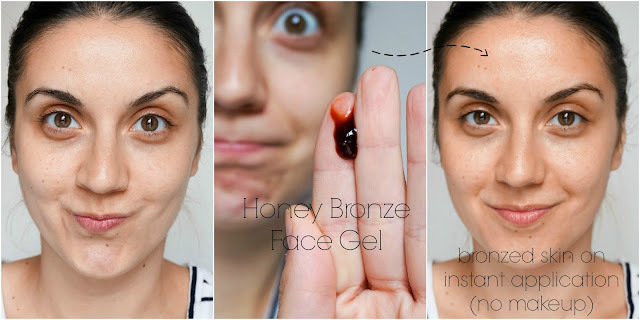 First up I've got the Honey Bronze Face Gel which comes in a 25ml squeezy tube & is priced at £13. This product couldn't have been easier to use, you literally squeeze a small amount onto your fingers and then spread it evenly onto the face as you would with your normal moisturiser. That's pretty much it, you've got sun kissed skin in an instant, which is fantastic. I would recommend to wash your hands straight after to avoid tinted palms for the day, it also means that you are giving the product enough time to sink into the skin properly before applying the rest of your makeup. This is a great way to match your face to the rest of your body in summer (because my face is one of the last places that tans as I'm usually wearing a higher SPF). What I love most is that it's not sticky or greasy and it leave a natural glow to the skin without looking orange or streaky. Next up I've got the Honey Bronze Tinted Leg Mist which comes in a 125ml spray bottle & is priced at £15. We have been assured at the press release that despite its name this tinted mist can be used anywhere on the body not just the legs and I've shown you that in the photo above by using it on my arms (I'm a rebel I know). Once again this product is super easy to use and it immediately spreads evenly over the skin, no streaks here. My only niggle is that spraying it directly on the desired areas of the skin might cause issues because it will splash everywhere (I've got a stained wall to prove it). So my best advice is to spray it directly in the palm of your hand & then blend it into the skin. I love the fact that at the end of the day you can just wash off the product easily, meaning that you aren't left for days with a streaky tan. It doesn't feel oily and it doesn't look shimmery, as it gives off a natural matte finish which doesn't transfer so you are set for the day. Last of the bunch are probably my favourite, the Honey Bronze Highlighting Domes priced at £8 and available in 3 different shades. 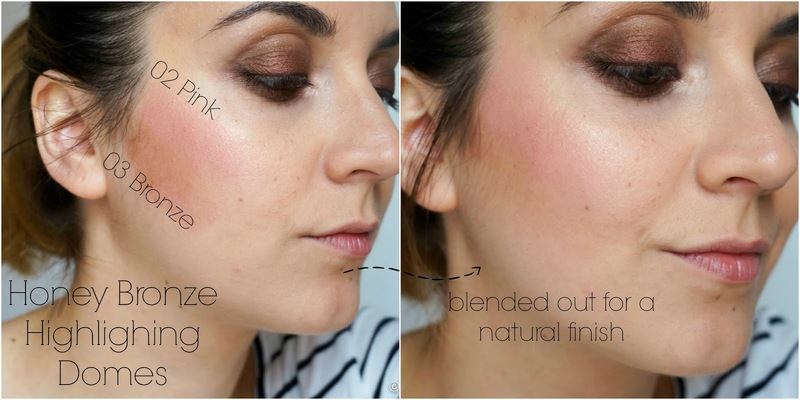 The highlighting name can be a bit confusing because the shades I have here can definitely be mistaken for a bronzer and a blush. In my opinion the reason they are named highlighters is because of their sheen texture and an almost wet look finish. Once again these are super easy to use, I personally dot the colour straight on the skin & blend using my beauty blender or just my fingers. It also works really well by applying the product onto a brush first and then gradually building up the intensity on the skin. 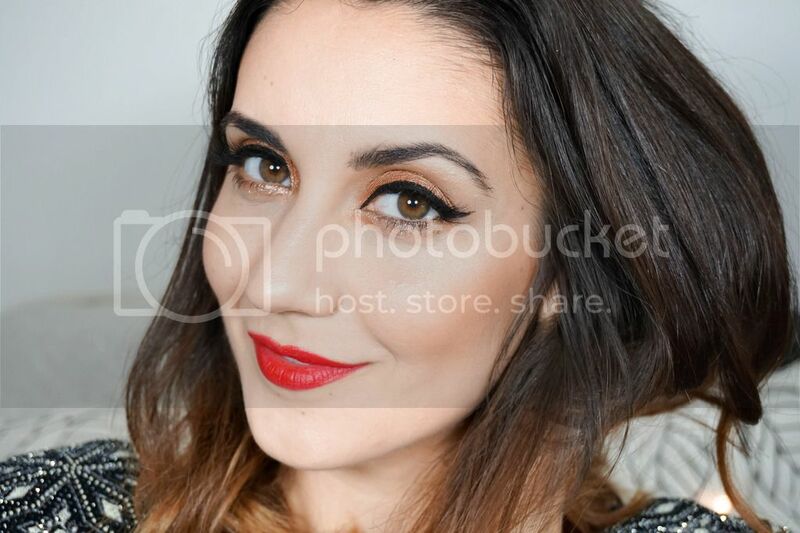 As you can see the finished look is very natural with a gorgeous glow. 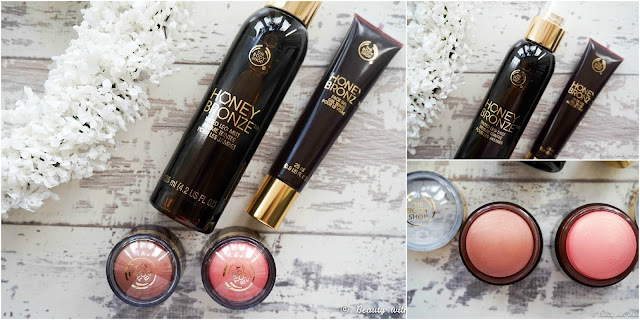 My favourite thing about these products is that they are creamy and lightweight, with a delicious honey fragrance. So as you can see I am smitten with these new Honey Bronze products (yup I'm one of those weirdos expressing my love for beauty products). I love the smart & luxurious packaging, as well as their new campaign "smart girls fake it". 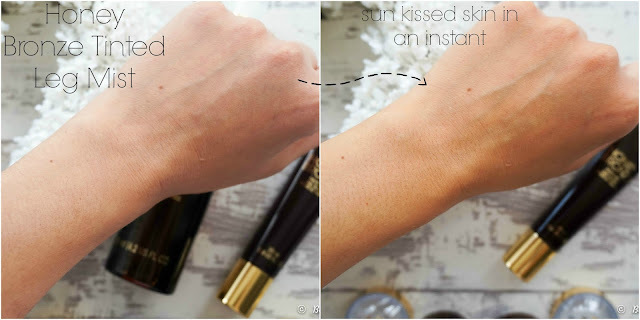 So if you love sporting a bronzed skin these are definitely worth checking out this summer. Have you tried the Honey Bronze range before or will you be treating yourself to the new additions? PR samples received in a goodie bag (at press release event).